RespectAbility reached out to Schuette’s opponent, Democrat Gretchen Whitmer, as well, but received no response, according to the organization’s President, Jennifer Laszlo Mizrahi. Thank you for sending me the RespectAbility candidate questionnaire. I appreciate this opportunity to share with you the priorities I would have, as governor, for people with disabilities and for all Michiganians. 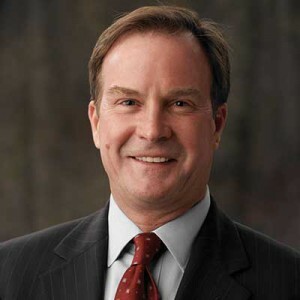 I am proud of my solid track record and my vision for improving the lives of the people of Michigan. As attorney general, I have consistently been a voice for victims, consumers and all Michiganians because I believe everyone should be treated equally under the law. As governor, I will ensure such policies are practiced within my administration, and I will approach the laws and budgets I sign with the same standard in mind. Michigan must be a place where we grow our recovering economy and ensure there is no room for discrimination of any kind, because all people must be treated with dignity, grace and respect. The disability community has so much to contribute, especially to our state’s economy, and businesses need to know there is a real return on investment in hiring persons with disabilities. As governor, I would make sure employers hear this important message. My plan for Michigan will revitalize all our communities, urban and rural, with growth-friendly policies that make us nationally competitive and rebuild our population. Michigan is still 300,000 jobs short from where we were before the Great Recession. Our incomes are still below pre-recession levels, and more than $5,000 below the national average. As governor, I’ll set policies that let our businesses expand and thrive and attract the people needed to fill all the jobs we are creating, while giving a pay raise to those who are already here. My agenda includes cutting taxes, slashing auto insurance rates, rebuilding our roads and other infrastructure, and improving our schools to make our state a more attractive place to live, work, start a business and raise a family. I want to restore a healthy balance between career and college preparation in our schools, with a focus on vocational education, apprenticeships and job training. Michigan has made strides in improving workforce and economic development strategies, healthcare access and funding, and alignment of government and private sector programs, services and opportunities to specifically benefit the disability community, and I will make it a priority to continue these important efforts. In a $57 billion state budget like Michigan has, I believe we can find the money to build better roads, maintain public safety, boost economic growth, improve our schools and provide vital services for those who need them most. Those will be some of my spending priorities as governor. Thank you for reaching out to me. I look forward to working with you as Michigan’s next governor.